The demo for RE2make is available. All its assets on contained in a single 8 gig PAK file. I've tried the RE7 and latest SFV PAK unpackers but they're incompatible. The same format as in RE7, just they added new flag for ZSTD compression. Currently the list of file names is actually empty. Ekey wrote: The same format as in RE7, just they added new flag for ZSTD compression. Currently the list of file names is actually empty. Any Chance of a Compatible Hook DLL being released so we can generate the file list? Last edited by ISKA on Sat Jan 12, 2019 7:41 pm, edited 1 time in total. The unpacker works great - thanks. I apologise if this is a stupid question, but how would I go about viewing the models/textures? PRP1986 wrote: The unpacker works great - thanks. I don't know if steven gas machine tool can help you. it's the only tool that I know capable of extracting RE7 models and this demo uses the same engine. You can make small changes to SGM to make it work with RE2. There are couple changes in file header, and buffers header. 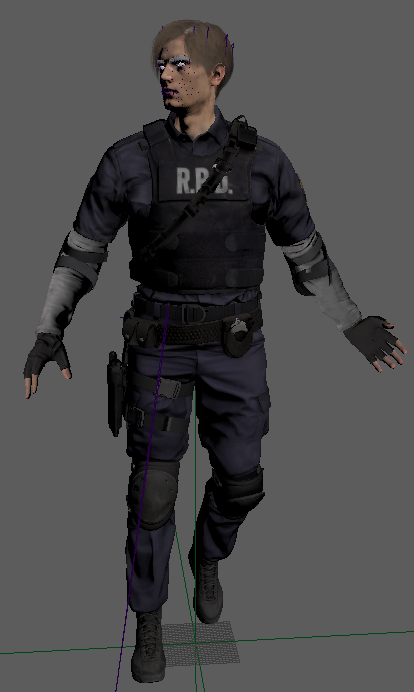 Vertex buffers are structured differently than RE7, so need to investigate what types there are. At least the skeleton and mesh info are identical to RE7, so SGM does some of the heavy lifting already. Here is Leon's body for example. I haven't got the time to really check the vertex buffer structure, so no weights atm. akderebur wrote: You can make small changes to SGM to make it work with RE2. There are couple changes in file header, and buffers header. Vertex buffers are structured differently than RE7, so need to investigate what types there are. At least the skeleton and mesh info are identical to RE7, so SGM does some of the heavy lifting already. Ah, so right now we only have unskinned skeletal meshes but no environment static meshes? Thank you for having a look at this mate! I would be fine with just exporting/importing meshes and textures. I'm only curious about polycount, texture density, how they re-surfaced the sculpts and scan heads, etc. I know a lot of it comes from their engine (the polished good look of the game) but I still want to have a look at stuff like that. You mention changing the file header and buffer header. May I ask what you changed in the SGM to open up the character? Because when I use the Re7 game and choose the pak location it just closes after the questions. completenoob wrote: May I ask what you changed in the SGM to open up the character? It is an open source program, so I changed the RE7 module to work with RE2. TTR wrote: no environment static meshes? I am not really interested in environment stuff, but couple ones I have seen were loading fine. 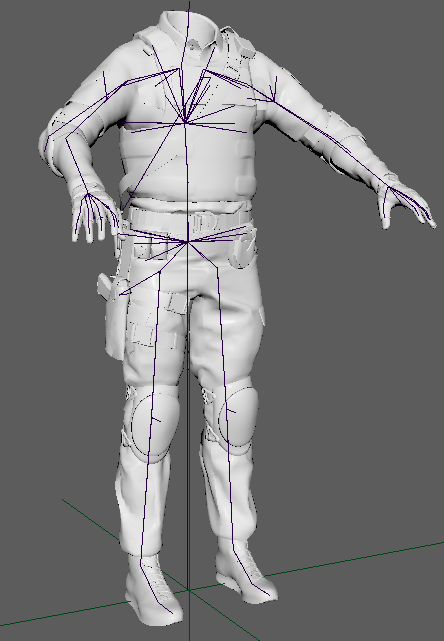 I got weights/uvs working quickly, but haven't tried lots of files as I just want main chars. Pretty neat work! Main characters is actually my main interest as well.. Could I ask you if maybe you could share the changes you did to the SGM so that I could import/export the models from the demo to have a look at them? I just patched it quickly to load Leon properly. It still uses some hardcoded stuff and not suitable for general use. Also not all vertex types are supported. I have no plans to polish it and release it, since it is not my tool anyway. Wait for semory to release a proper RE2 support. I don't think it will take too long. No Claire/Ada models are stored in demo files?